Aggression. Power. Clarity. This is the trifecta of heavy guitar tone. 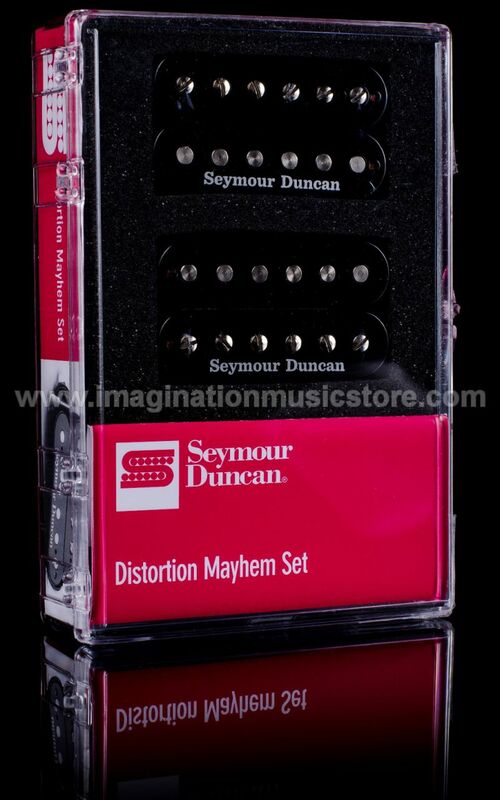 Drop the Seymour Duncan SH-6 Mayhem Set into your axe, and harness it. 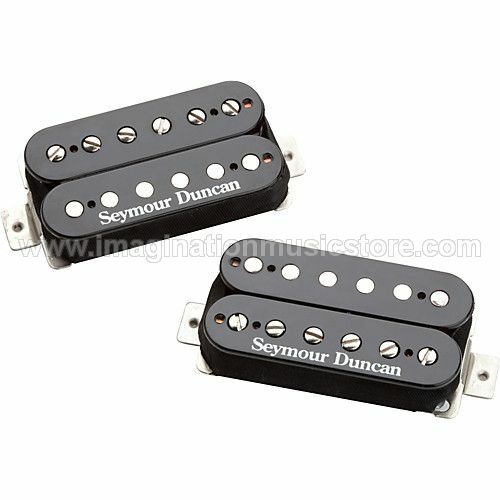 These high-output humbuckers are ideal for every flavor of metal and other high-aggression genres as well. We're talking tight percussive riffs. Blazing-fast lead work. Ultra-clear pick dynamics. Churn out hard-hitting, crunchy rhythms, or pump out searing leads — it's all at your fingertips. Massive ceramic magnets and hot coil windings yield rich upper midrange harmonics and smooth fluidity when you push them and are equally capable of bell-like clean tones when you back off the gain. The SH-6 Mayhem Set will add serious weight to whatever you play. The SH-6 Mayhem Set was built for aggressive playing styles. 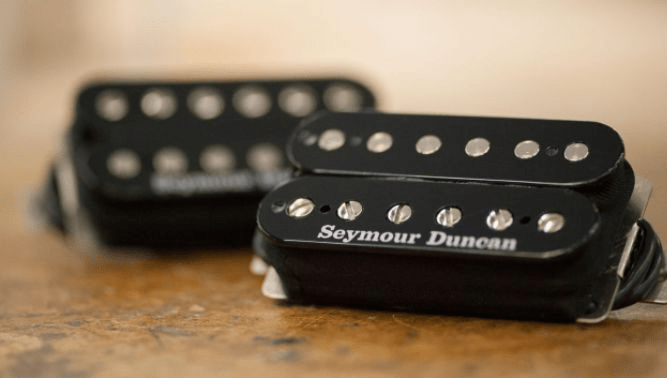 These humbuckers are recommended for old-school metal, nü-metal, gothic, garage, punk, thrash, and other heavy rock styles, and are great for drop tunings. These humbuckers yield high output while retaining clarity. Their massive ceramic magnet and hot coil windings deliver tremendous power and raw distorted rock sounds. Both pickups come with four-conductor hookup cables to facilitate complex pickup switching setups.